If your children don’t get to see much of their grandparents – or if you would like to see more of your grandchildren – a multi-generational family holiday – can be a great opportunity to give you all some quality time together. However, a so-called “3G holiday” does need careful planning. Considering the needs of a wide range of ages can be a challenge. Being flexible, tolerant and making compromises are all key to a stress-free holiday with grandparents. For starters, you’ll need to relax daily routines, allowing longer for everyone to get ready for a day out. Don’t be tempted to pack too much in. Are granny and grandpa all-action grandparents, keen to be involved in daily activities? Or are they content to sit back, watch and do very little? Whichever, they’ll tire more quickly than you, so be sure to plan time out for them during busy days. Most grandparents will be more than happy to babysit or take the children out for the day if you want some time alone – just as they might want to escape for a day on their own sometimes. Don’t assume anything though. Some grandparents won’t appreciate being brought along on holiday in the assumed role of babysitter. The same goes for cooking if you’re in self-catering accommodation. Don’t leave one person to do all the chores. Taking it in turns to cook – and that includes the kids – is not only more fun, but it also diffuses tension if two generations of mums are battling to claim control of the kitchen. You’ll also be happier if everyone – right from the start – is clear about certain rules. What time should the children be in bed, and when is grandpa happy to be woken in the morning by the sound of shrieking toddlers? Where do you draw the line at treats? Or privacy? And who’s paying for meals, drinks and activities? Perhaps you’ll take it in turns, opt for a kitty or simply divide the grocery bill. That just leaves the decision of where to go and what kind of accommodation to opt for. Again, flexibility is key. You might need more space than you’re used to on a ‘traditional’ family holiday. That might mean going for a self-catering farmhouse rather than a cottage, or a resort with interconnecting rooms or family villas. You may be looking for plenty of communal space – a good-size kitchen/family room perhaps – or a range of onsite activities that will appeal to everyone from your hyperactive five-year-old son to your more lethargic 75-year-old mother-in-law. 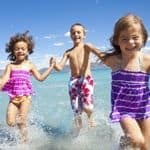 One of the easiest and popular solutions to all these questions is a family cruise. You can even avoid flying by sailing from a UK port such as Southampton. For example, family-friendly Marella Cruises offers fully-inclusive rates and excellent kids clubs and children’s menus. See the latest family cruise offers. This is your easiest – and cheapest – option for a holiday with grandchildren. 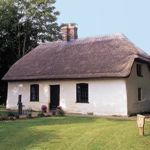 In fact, sharing the costs of a large cottage or farmhouse often means you’ll get more bang for your buck – not just a bigger property with more bedrooms, but a better location, larger garden and so on. Renting somewhere in the UK is also a doddle. You don’t have to bother with the logistics or expense of coordinating flights for a large family party, or worry if the food/climate/journey/walk to the pool is going to agree with granny. Simply pile everything and everyone into a couple of cars and off you go. If there’s potentially a downside to self-catering in the UK with a large family group it’s the threat of poor weather – go prepared with playing cards and board games to combat those inevitable rainy days. Sykes Cottages have properties accommodating up to 18 people, including some beautiful converted barns and country houses. Their Lake District selection rings all the right bells for a multi-generational holiday – there’s plenty to interest kids of all ages (from Beatrix Potter to mountain biking), while grandparents will love the gentle pace of boat trips on Windermere and steam train rides through the fells. In Norfolk, we recommend Kett Country Cottages while in the North East, we like Cottages in Northumberland. Another great destination for three-generation families is the Isle of Wight where you can rent a cottage. Or head to the south west, where Helpful Holidays has more than 400 cottages in Devon – there’s something for all family sizes. One of the best areas for renting is the South Hams, whether you’re into windsurfing, rock-pooling, building sandcastles or dining on fresh seafood. But why stop at the grandparents? Invite uncles, aunts, nephews and nieces and you’ll have room for them all in one of the spacious properties offered by The Big Domain. Some cater for up to 56 guests and include country manors and even a Scottish castle or two. Don’t worry if you quail at the prospect of cooking for that many people – several properties have a full- or part-time catering service available. We also recommend Classic Cottages and Holidaycottages.co.uk. And if you’d rather not leave your dog at home, pick one of these dog-friendly cottages across the UK and Ireland. See more holiday ideas in the UK. If you want guaranteed sunshine and hot weather, you’ll need to head south towards the Med and rent a large family villa. There’s a huge choice of properties available, but make sure your shortlist takes into account the following factors. With young grandchildren – and perhaps elderly grandparents – you will want a villa with minimal steps, especially leading to and from the pool. Make sure the pool has plenty of comfortable seating space around it so that granny can enjoy the splashy antics of her grandchildren without having to use binoculars from the villa terrace. And on the subject of terraces, choose a villa that’s capable of seating everyone outside for mealtimes. Inside, you’ll ideally want ensuite bathrooms for yourselves, the grandparents and the kids – everyone will have different routines. Where to go? Well, a good starting point is to jot down the main interests and must-haves for each member of the party. Perhaps grandpa loves fine wine, granny is a passionate cook, you’re a bit of a history buff and the kids just want to swim. 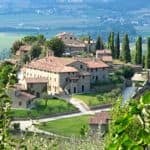 A villa with a pool in Tuscany ticks all those boxes – Oliver’s Travels has a superb collection. If swimming in the sea tops your hit list (a lot of elderly people are very keen saltwater swimmers), then splash out on a villa by the sea. Vintage Travel offers a great choice of properties in Mallorca, including Sa Marina (sleeps 10) which is in the countryside a short drive from Cala d’Or and within walking distance of two sandy cove beaches. It also has a large pool and table tennis. Croatia is a great option for waterfront villas – check out this collection. For example, five-bedroom Villa Natulia has private ladder access to the sea as well as its own swimming pool. It is divided into two apartments, making it ideal for a three-generation family group. The same company also recommends Galicia in the north-west corner of Spain, where you’ll find uncrowded white-sand beaches and a superb collection of family villas with private pool. You’ll find some wonderful family villas in Turkey along the Turquoise Coast. One of the best 3G destinations is Kalkan where you’ll find villas such as Sedir Ev and apart-hotels such as Korsan Suites. Menorca works really well if you have young children in the party because the airport transfers are short and the beaches are gently shelving. Adults will also love the restaurants and this range of family villas. For example, Santo Tomas is almost directly on the beach and sleeps nine. Also try CV Travel for an equally enticing range of villas in Corfu. If Granny and Grandpa want to treat you all to something special, check out Abercrombie & Kent’s superb collection of luxury villas in the Algarve, and Sir Richard Branson’s new Son Bunyola estate in Mallorca where three gorgeous villas are set in 680 acres of protected countryside. I also love this collection of family apartments put together by i-escape.com. You could stay at a resort, or a European city, with all the benefits of self-catering, including freedom, space and privacy. See more self-catering holiday ideas. Another idea: if you want to stay at a small, characterful hotel but have active kids in tow, try one of these independent family activity holidays featuring cycling, walking and canoeing in Austria, France and Spain. So the kids get a run around each day while the older family members have the option of kicking back with a book and a glass of wine. Or take a gentle cruise along the canals and rivers of rural France on a family boating holiday. No experience is required to rent one of the fleet of motor boats which sleep between 3 and 12. It’s a great holiday for three generations – you’ll all enjoy the slow pace of life. Villa rental agencies can organise flights and car hire and may even be able to prebook activities or arrange a grocery pack on arrival. However, if you want total peace of mind over logistics, consider a package at a family-friendly resort, where everything from transfers and meals to babysitting and kids’ activities is taken care of onsite. To be honest, though, if you opt for one of the following operators, all boast such a wide range of activities – from adrenaline-charged watersports to sumptuous spas – that you should be able to keep everyone happy. 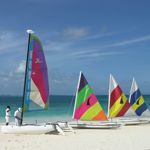 Beaches Resorts in Jamaica and the Turks & Caicos, for example, are renowned for their fantastic Kids Camps, waterparks and unlimited watersports. You can book a three- or four-bedroom family suite and take your pick from 19 gourmet restaurants. Another great all-inclusive option, Mark Warner’s new Phokaia Beach Resort has interconnecting rooms and a fantastic watersports programme. Kids’ clubs and childcare options mean that you can keep children happy and occupied for those times when parents and grandparents need some quiet time. Also consider Club Med and Scott Dunn. If Grandma and Grandpa really want to wow the kids, how about a safari holiday in Africa? One of the best options for multi-generational families is a family safari villa in Zambia – where you can enjoy game drives in the South Luangwa National Park and Lower Zambezi Valley and all the adrenalin activities around Victoria Falls. 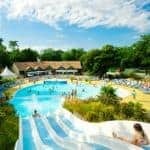 Also try Siblu Villages, which has great value family holiday parks across France, while closer to home, Gwel an Mor on the north coast of Cornwall makes a perfect destination for a holiday with grandparents, with its high-quality lodges (sleeping up to six), indoor pool, spa, restaurant and wildlife centre.